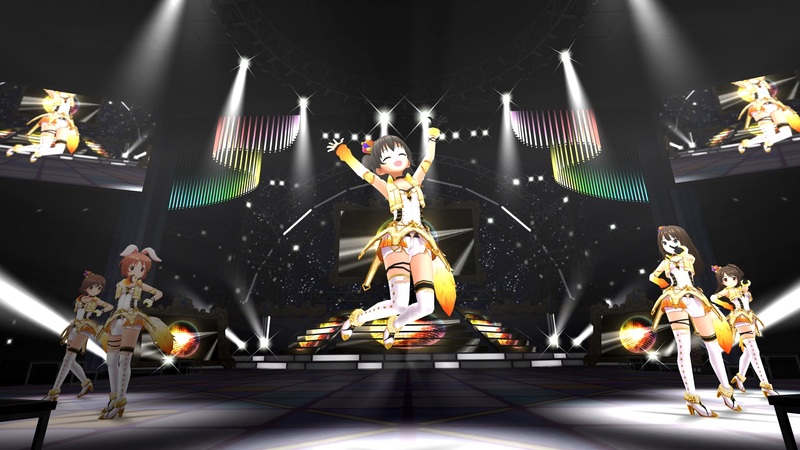 Bandai Namco has announced the release date for the English version of The Idolmaster: Cinderella Girls Viewing Revolution, the PlayStation VR Idolmaster title. The English version will be released on the Southeastern Asia PSN Store on April 21. Viewing Revolution is the second Idolmaster game for the PS4 following Platinum Stars, and the first game in the series for PSVR. The game is set at Maihama Amphitheater, the site of “The Idolmaster Cinderella Girls 1st Live Wonderful Magic” in April 2014. It features three songs, “Onegai! Cinderella”, “Star! !”, and “Yes! Party Time! !”, with “Atashi Ponkotsu Android”, “Snow Wings”, “Orange Sapphire” and “GOIN’!! !” available as DLC. Players can also choose a variety of colored penlights to go with the songs chosen. Viewing Revolution was released in Japan on October 13, 2016. It is the second game in the series to be translated into English after the worldwide iOS release of SHINY FESTA in 2013. No announcement has been made about a western release, but the game has also been rated in Germany.